The latest release of the Workarea platform adds many major features and platform enhancements. Notable additions include Omnichannel Inventory, Workarea Webhooks, Sparkline Merch Trends and Site Planner Calendar Sync. This release has benefits for shoppers, admin users and tech teams using Workarea. More detail on v3.3 and prior releases can be found on the Workarea Community Site. To watch an on-demand recording of select feature products for the Workarea release, download the demo recording. Otherwise, for an in-depth overview of the new product features and upgrades, read below. Although most Workarea customers use a third party email service provider (ESP), some system emails are generated from Workarea. This release contains significant enhancements around email. Workarea supports a number of ways for the ecommerce storefront to capture customer emails. This version adds the capability for Admin users to view and export opt-in customers. Marketing teams can use this utility to support a simpler integration with their ESP. Version 3.3 adds additional configuration options for Product Detail Pages, giving greater admin control over how product options are displayed and presented. Each of these options employ the same inventory availability logic implemented for the storefront. This configuration shows a select field per option based on product variant details. 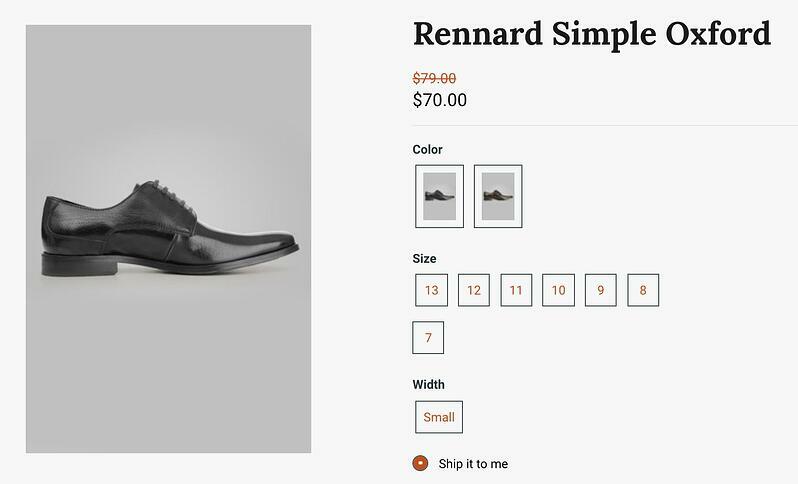 This configuration shows product image thumbnails matching the option when available. This configuration allows for swatch images or hexadecimal color codes to be used for color options. Store locations with specific inventory levels as well as Store Pickup functionality can be managed within Workarea in v3.3, via two Workarea Plugins: Store Locations and Store Pickup. These enhancements significantly reduce the time to implement Workarea for an omnichannel strategy. Omnichannel carts / orders. Customers can built carts that contain shipped items as well as multiple store pickup items. Orders will properly decrement inventory across inventory sources. 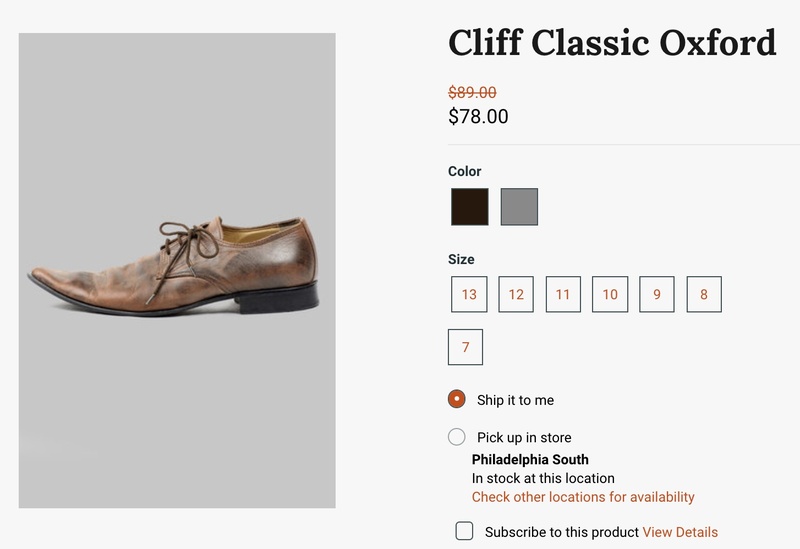 Enhanced options for offering store pickup on ecommerce storefront. The Workarea Product Reviews Plugin provides a native alternative to 3rd party reviews systems. 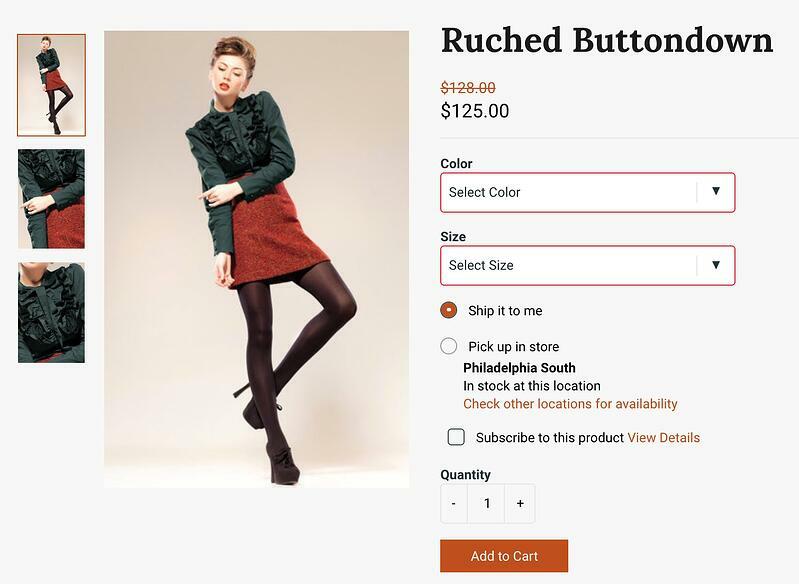 This release offers improvements to the shopping experience as well as the admin capabilities for this Plugin. Customer services agents can impersonate shopper's online sessions to facilitate actions that occur on the ecommerce storefront. This capability has been expanded to include both logged in and guest shoppers. This version allows Workarea admins to configure the display order of product filters. These configurations can also be category specific. Webhooks are an useful developer tool that allows for the execution of code based on events that occur in the system. As such, they have been popular as a way to integrate data between systems. Workarea Webhooks can be triggered on creation, update or deletion (except where noted below) for the following events in the platform. 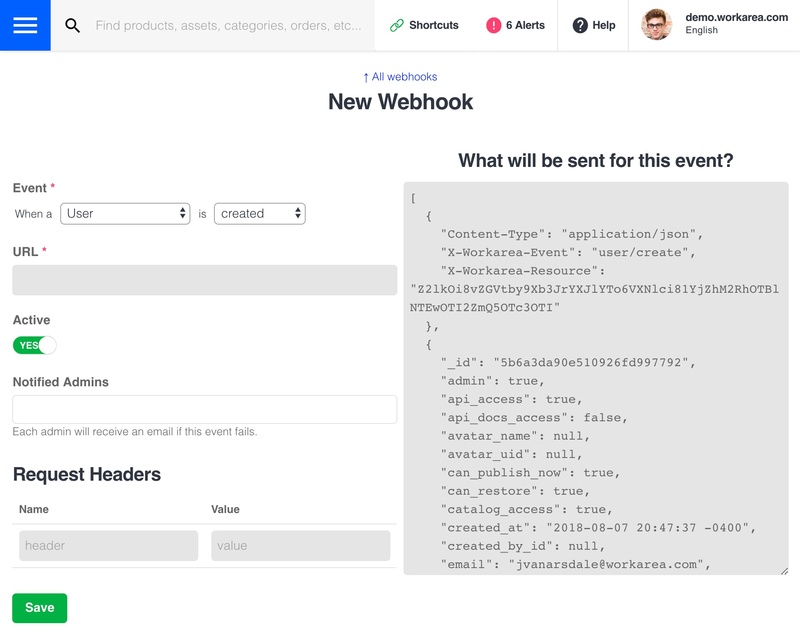 Webhooks are configured in the Workarea Admin where administrators can view examples of what data will be sent for each event type. Workarea's Site Planner offers a great way for retailers to organize, preview and automatically publish content and configurations on the platform. With v3.3 updates, Releases within Site Planner an be automatically synchronized with your work calendar. This provides a great way to stay on top of campaigns and site changes as well as provide increased visibility to coworkers not regularly working with the Workarea Admin. Once this simple integration is set up, current and future releases will be visible and sharable from your work calendar such as iCal, Outlook or Google Calendar.